In this series, I would like to demonstrate some of the basics of building a Ruby on Rails application and how MVC (Model-View-Controller) works. We will discuss some of the security pitfalls as well. Firstly, we need to make sure the tech is understood. That being said, in this first part of the series, let's discuss some general Ruby "stuff" that makes life a little bit easier when dealing with day to day Ruby tasks. 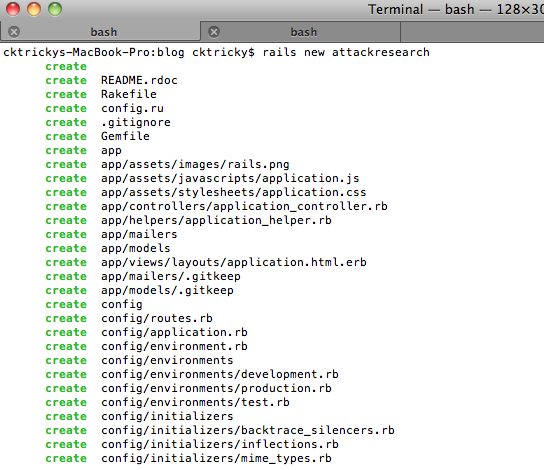 RVM, RVM Gemsets, and an RVM resource file. On the surface, Ruby Version Manager (RVM) allows you to host multiple versions of Ruby on your system and easily switch between them. 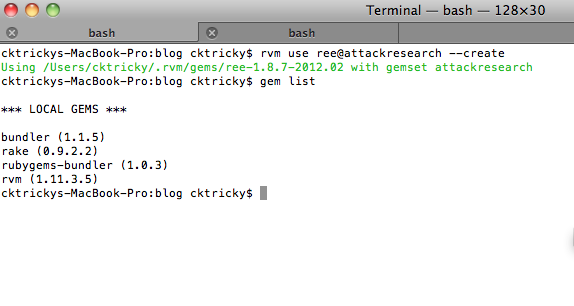 If you go a little deeper, you'll see that RVM also provides the ability to host multiple "Gemsets" within each version of Ruby. This means you can create a Gemset per application and never worry about conflicting dependency versions. 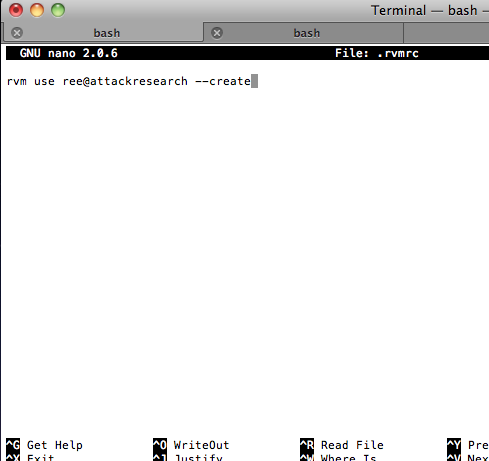 One last thing to mention, you can do all of this seamlessly leveraging an .rvmrc file. When you change into the application's folder that holds an .rvmrc file, you will automatically switch Ruby versions and gemset based off the values specified in the rvm resource file (.rvmrc). Firstly, lets choose our Ruby version as well as the name of our Gemset. 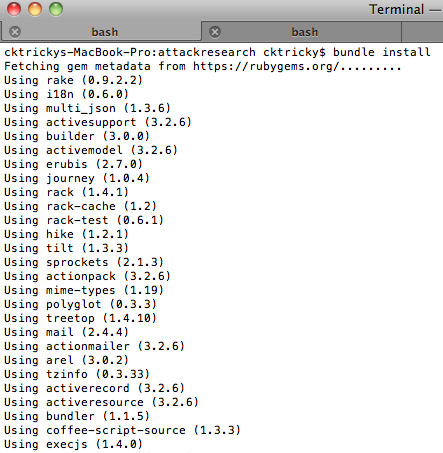 I'm going to choose Ruby Enterprise Edition (already installed via $ rvm install ree) and name my Gemset after the application, "attackresearch". Shown later. 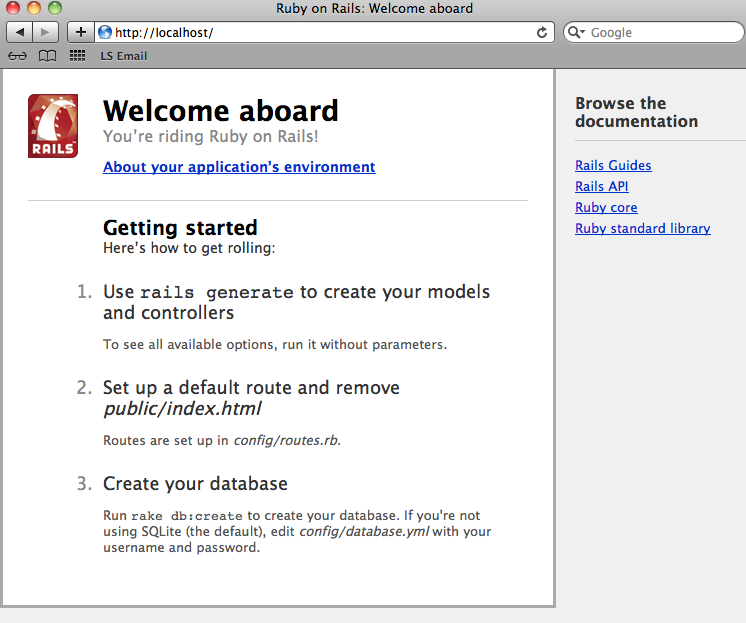 Let's create the Rails application! 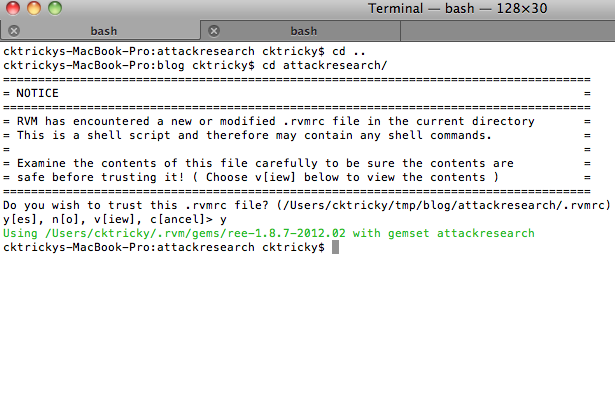 Now let's get the Gemfile and .rvmrc in order. 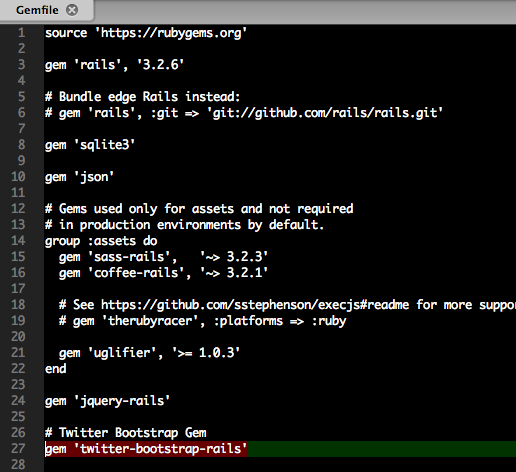 I'm going to add the 'twitter-bootstrap-rails' gem and then perform a "bundle install". 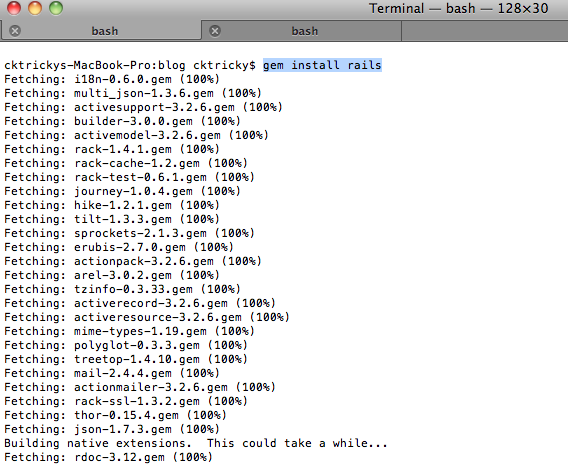 Whenever a change is made to your Gems, run 'bundle install' again to update the Gemfile.lock file. The reason for twitter bootstrap will become clear later in these tutorials. Essentially, it allows us to easily create the visual aspects of the application. 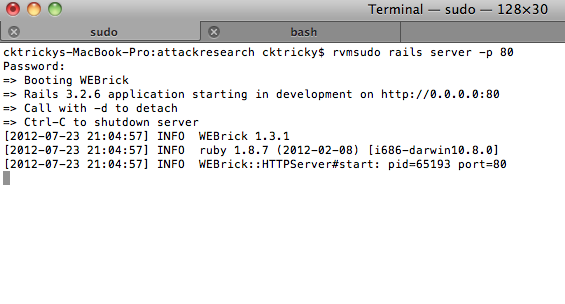 Just to test that the .rvmrc file works, let's leave the directory then navigate back into it. Lastly, perform a 'gem list' to ensure our gems are available. Now let's start it up!